Deborah (Debbie) Sweeney is originally from Albuquerque, New Mexico. She has lived in the Dallas Metroplex for 30 years. 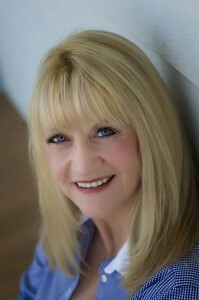 Her vast business experience comes from 17 years in sales and management in the automobile industry, 12 years as Director of Facilities & Ministry Services at Prestonwood Baptist Church/PowerPoint Ministries, 6 years as Sr. Project Manager with Churchworx and 8 years as President/Owner of Anchorpointe. Her unique skill set and previous experience allows her to analyze every segment of church construction projects from concept to Certificate of Occupancy/move in, while working effectively with church staff, committees, architects, consultants, vendors and general contractors. Her knowledge of Pastoral/Executive Staff, Ministry Associates, broadcast ministries, education and church operations brings exceptional understanding of appropriate design criteria, budget management, and project control throughout design and construction. She is the consummate owner’s representative, consultant and project manager. She believes strongly in developing a circle of communication to the entire team which effectively runs the project to successful completion. Her management relationship with architects, general contractors and subcontractors brings about a successful project delivery method with a biblical collaborative perspective. Her recent 6 year effort was the once in a lifetime, $138 M First Baptist Dallas New Campus project in downtown Dallas. She views every project as a ministry opportunity to help spread the gospel through literally “building” God’s church. She has been directly involved and managed over $700M in church construction projects. She makes her home in Plano, Texas with her husband Bert. She has twin adult children, Charity and Chad married to Tony and Sarah, 4 grandsons (Gage, Caleb, Zack & Talan), 2 granddaughters (Savannah & Brooke), new twin grandbabies (Easton & Everlee) and 2 great grandchildren (Leila & James). Her favorite title is Gran….